The Number Needed to Treat is not the right statistic for patients and never has been. 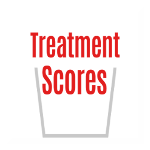 Patients need to know the "net treatment benefit." Patients need to know the "net treatment benefit" for patients like them who have treated in the past as summarized from the existing medical literature, using evidence-based medicine guidelines and shared decision-making.